Ever-so-slowly that holiday craft list is getting checked off one by one. I’m home sick today – some virus has been making the rounds at our house and now it’s my turn I suppose. On one hand, I hate feeling this cruddy. On the other hand… it is kind of nice getting to have the Little Mr go to Nana’s so I can stay home alone to rest and recuperate (and get some of these projects caught up). 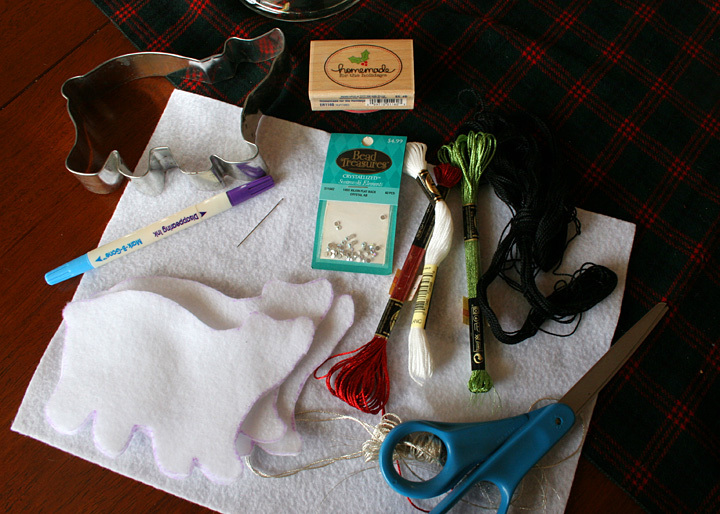 I’ve been binge watching Christmas movies on Netflix, feeling high on cold meds so I can breathe, and plugging away on things – the hand stitching on those bags, and now the ornaments I’ve been meaning to make since last year. It’s nice to be able to sit for several hours and just work away on something instead of having to set it down every 5 minutes. 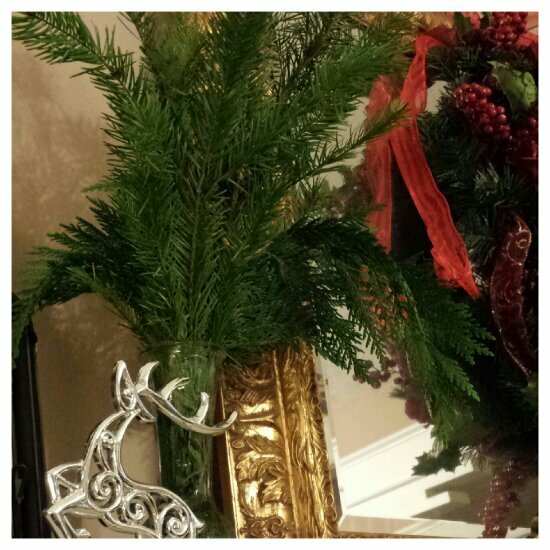 December photo project #… Oh whatever. It can’t possibly be the middle of December already, can it? Please tell me it isn’t so! This whole month has been a blur! I’m having a hard time keeping things straight – holiday parties and foods that need made for them, gifts that still need purchased and wrapped, cards that still need mailed… so much to do! And I’m quickly running out of time – eek! 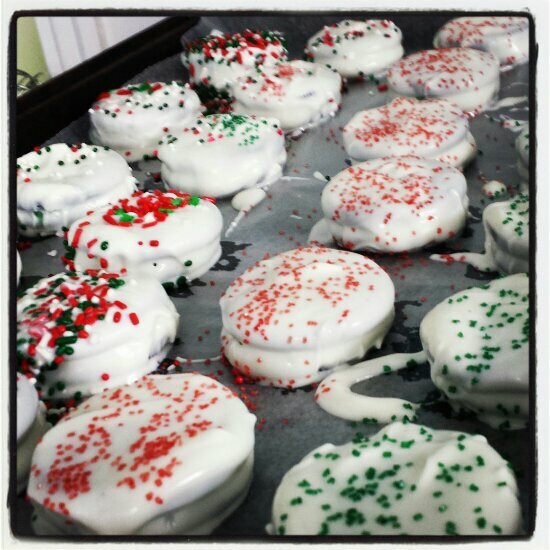 Today I finally took some time to work on my holiday treats. Just some chocolate covered Oreo cookies for now. I’m finding myself too distracted for any major baking this year, so I’m keeping it easy. I just don’t have it in me to do a whole lot of baking right now. 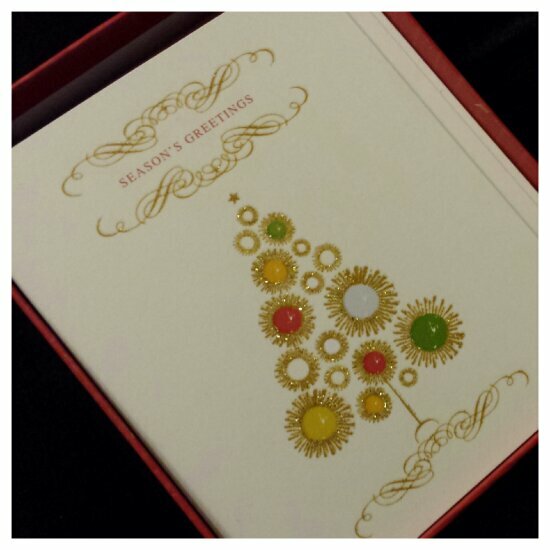 December photo project day 5 – holiday cards. I’m horrible about getting them out on time, but I still love picking them out and writing them. I always try to find cards with non-Christmas messages (and that whole reason for the season thing) because it’s just not me. Plus I have friends celebrating other holidays, so something all-encompassing is nice. I now have two vases on the fireplace next to my mirror and I’m quite pleased with myself! This might have to become a yearly decoration. December photo project day 3 – frozen custard from my favorite place down the street from work. 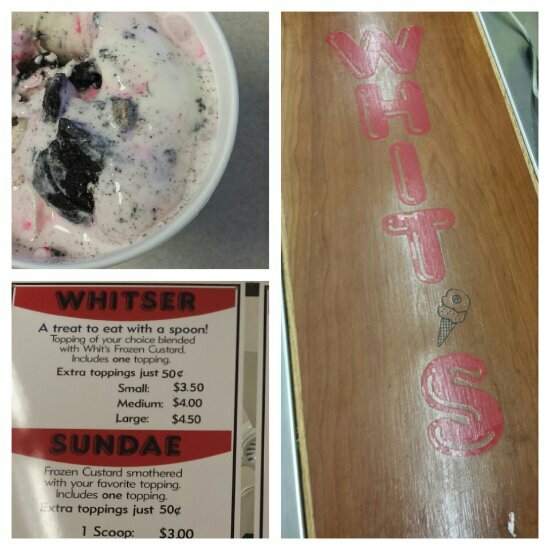 Today I grabbed a “whitser” made with the candy cane ice cream and Oreo chunks. Every week the featured custard changes, and for $3.50 you can get a hot dog with ketchup and mustard and a single scoop. Probably not my healthiest lunch choice, but it’s still delicious! On a related note, I always feel weird trying to snap photos of places and things in public. Especially with a proper camera and not a cell phone. How do other bloggers manage it? Is it just conquering a fear or feeling less self-conscious about it?